For several years, ICE focussed much of its design activities on the growing offshore oil & gas industry, providing designs for drill ships, offshore service vessels and floating production, storing and offloading (FPSO) vessels. When the oil price in 2014 collapsed from more than 100 to less than 30 US dollars a barrel, the demand for such vessels disappeared. Thanks to its versatility, advanced technology and strong financial position, ICE managed its way through the resulting difficulties and successfully re-focussed its business on the booming passenger vessel market, a sector of the shipbuilding industry in which ICE earlier was heavily involved. Ongoing and upcoming cruise vessel design contracts are now providing a sound basis for further work and are requiring ICE to hire additional naval architects and engineers to meet demand. 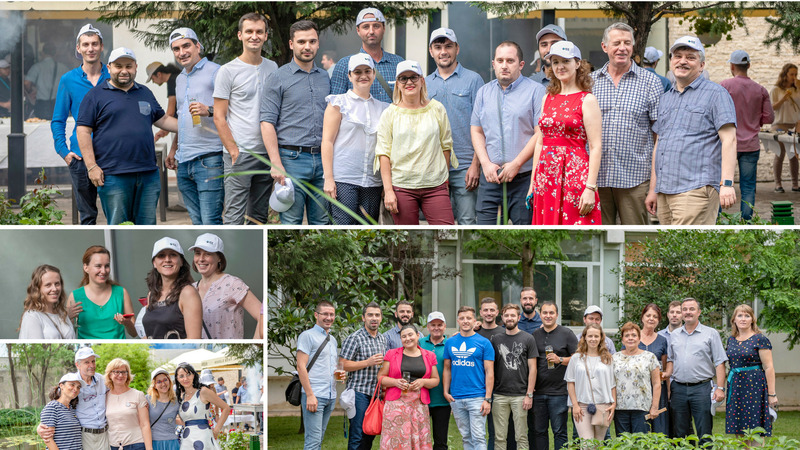 To celebrate having successfully weathered a difficult period for the industry, ICE’s management took the opportunity of its traditional semi-annual briefing session for all its Romanian employees to arrange a BBQ party to say thanks for their efforts and to wish everyone well-deserved summer holidays. In addition to ICE’s own employees, invited guests and representatives from ICE’s Isle of Man office, the BBQ party was also enthusiastically attended by students who had participated in ICE’s annual internship program.